Sensitive tooth pain is very severe. It gives a jolting pain shooting deep into the nerve endings of the tooth when you try to bite something hot, cold, sweet or sour food. It surely ruins the pleasure of eating and can disturb the normal routine of the person. One may feel the tooth pain while breathing in cold air as well. 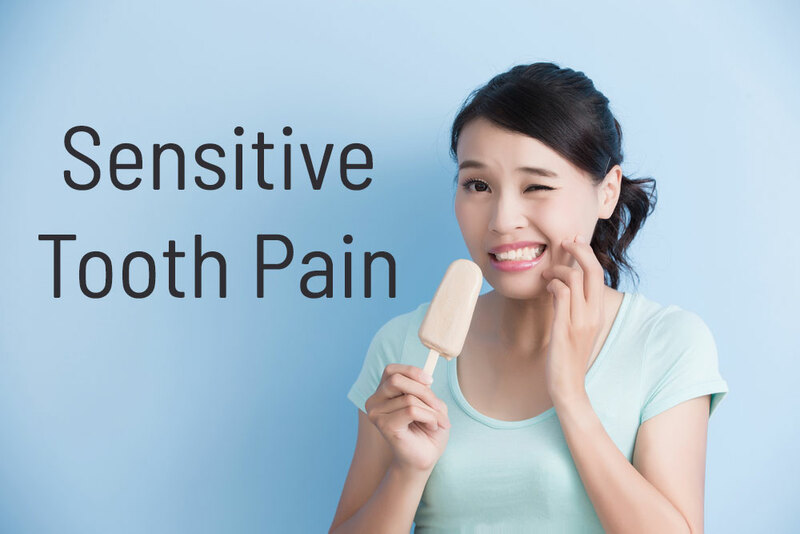 Tooth sensitivity occurs when a material inside the tooth called Dentin loses its protective covering of Enamel or its outer layer called Cementum leading to nerve endings being exposed to hot, cold or acidic foods. Sensitive tooth pain is associated with tooth decay or gum infection (Abscess) in most cases. It can be due to a broken tooth, worn or leaky fillings, crown that has been poorly installed, teeth grinding or clenching, loss of enamel from the teeth due to use of hard toothbrush or consuming highly acidic foods and beverages. Cloves are the most traditional remedy for numbing nerves and preventing any further infection. Cloves are known as natural anesthetic and antiseptic due to the presence of a chemical compound called Eugenol. The microbicide properties of Clove oil help in killing oral pathogens. One needs to put two drops of clove oil on a cotton ball and apply it to the tooth. If Clove Oil is not available, then simply place a whole clove on the tooth. One may chew the Clove to release its oil. It should stay in the mouth for at least half an hour in order to get pain relief. Clove Oil may be mixed with Coconut Oil and applied to the affected tooth and gums for faster pain relief. It should be done two times a say in case of sharp pain. Garlic is a well-known powerful, anti-inflammatory, antibacterial and anesthetic. It can help relieve tooth pain and kills the germs causing infections and cavities. Garlic may be crushed into a paste (crushed garlic release allicin) and mixed with some salt and water to apply on the affected tooth.After a few minutes(10minutes), it should be rinsed with warm water. Garlic slice may be applied directly on to the affected tooth and rinsed with warm water. This treatment should be done once daily. Chewing on a piece of raw garlic may also help. Onions are loaded with antimicrobial properties. They are antiseptic. Onions have flavonoids including Quercetin which gives it anti-inflammatory effect. Raw Onion (cut in a small size) when placed directly on to the affected tooth, helps to keep the bacteria right away from the mouth and relief the pain. The slice of Onion should be place over the affected tooth for five minutes and then the mouth should be rinsed with salt water. This can be repeated twice a day. Raw ginger is a powerful antiseptic and is loaded with ginger one, shogaols and gingerols. Chewing raw ginger helps to reduce bacteria in the mouth thus avoids further infections and relieves pain caused by the bacteria. Turmeric is known for its anti-inflammatory properties and is the best remedy for almost any kind of disorder.It is a natural antiseptic, analgesic and antibacterial herb. The compound Curcumin is known for its wound healing effects. Simply massage some turmeric paste on to the teeth. To prepare the turmeric paste, one needs to add a pinch of salt with ground turmeric and mix it with some mustard oil. This can be applied twice a day on teeth and gums for pain relief. One may also make turmeric paste with raw honey for better taste. Applying coconut oil directly on to the hurting tooth helps in removing bacteria, helps in overcoming tooth sensitivity and also promotes healthy teeth and gums. Extra virgin Coconut Oil also helps in making teeth whiter and brighter. The analgesic and anti-inflammatory properties of Coconut Oil help to reduce the pain in the teeth. One may simply swish Coconut Oil around the mouth for a short while every day. This helps in removing toxins and bacteria from the gums. It is very important to spit out the oil afterwards and rinse with warm water. This remedy should be done once a day, preferably every morning. This is called Oil Pulling treatment and can be done at home easily. A spoon of sea salt or regular salt in a cup of warm water acts as a pain killer mouth wash. One needs to swish it around the mouth for 30 seconds and then spit it out. Saltwater cleanses the area around the tooth and helps in relieving swelling in the mouth. For instant pain relief, it is always advised to apply an ice pack on the cheeks (to reduce swelling due to tooth pain). One may simply place a small ice cube in a plastic bag and apply it to the aching tooth for few minutes to numb the nerves. It is highly recommended to avoid excessively cold and hot foots or drinks, avoid acidic foods or drinks, avoid tooth whitening products and try using sensitive toothpaste. It is also advised to switch to a soft bristle tooth brush. One should never ignore a sharp tooth pain as it can progress into a chronic infection with time. In some cases, the dentist is able to investigate the cause and source of the pain instantly and are able to fix the problem right away like repairing the tooth or filling the cavity.